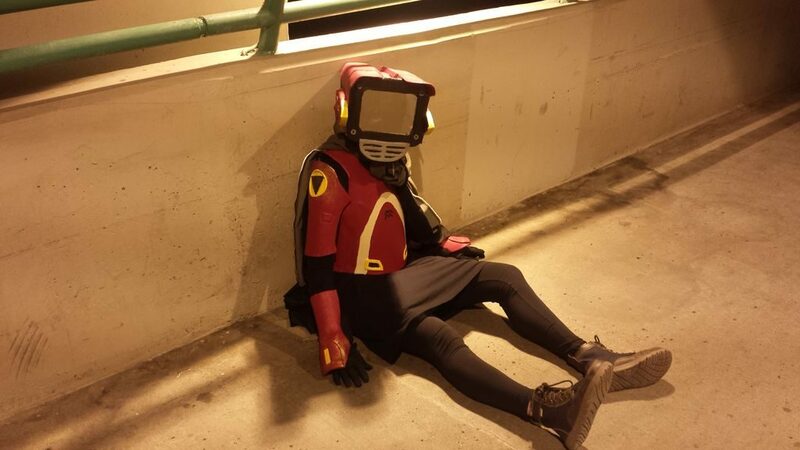 Want to be the high-energy robot from FLCL? 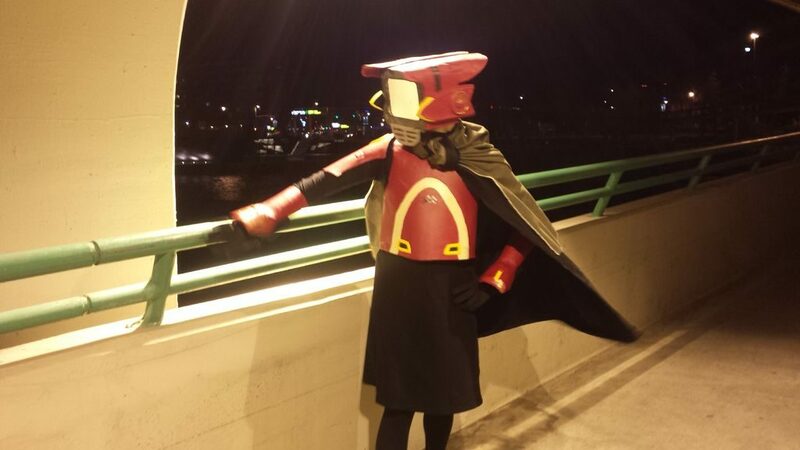 Kahht shared how they created their Canti costume with Worbla, and you can see the process below! 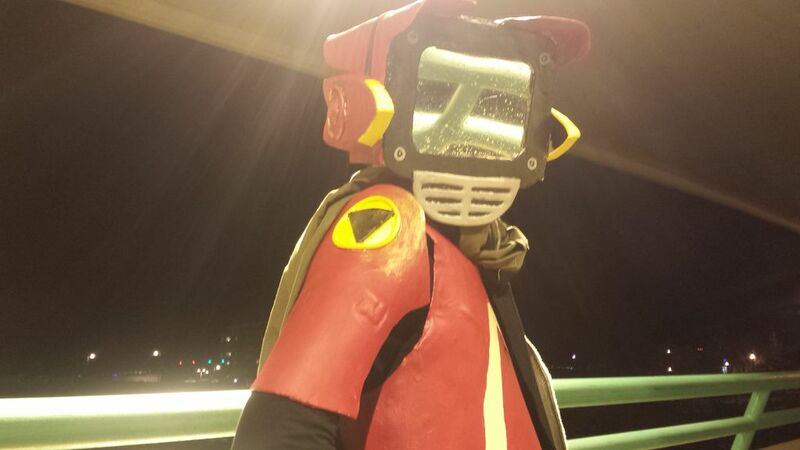 I love robots, so I instantly fell in love with Canti from the Japanese anime series Fooly Cooly (aka FLCL). It was a huge learning process, and a ton of work. I’m super happy with the final look, and am looking forward to my next Worbla costume. Let me start by saying: read everything first. This is a long process and I tried to outline it in as linear a way as possible, but if you know the entire process, you’re less likely to do something that will mess you up in the future. Tip: grab a helper for this step. 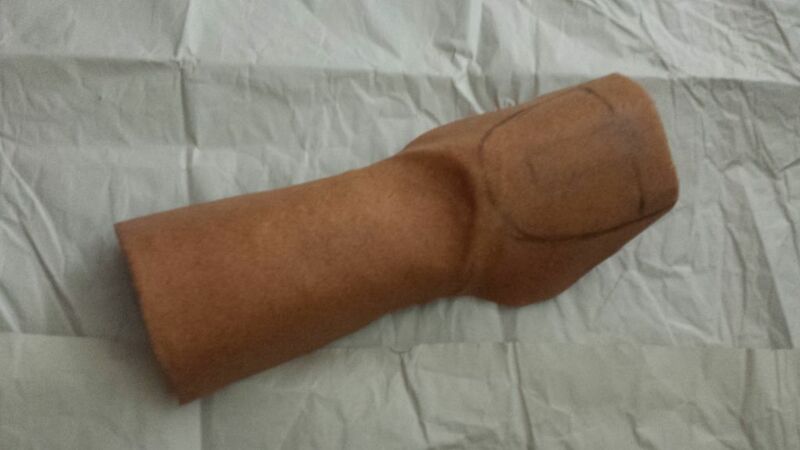 With the plastics you’ve rounded up, cut them out to add the appropriate curves to the forearm piece. I used a stubby water bottle cut in half lengthwise. Then taped it to my arm. (I couldn’t find anything appropriate to make the chest, so I decided to wing it). 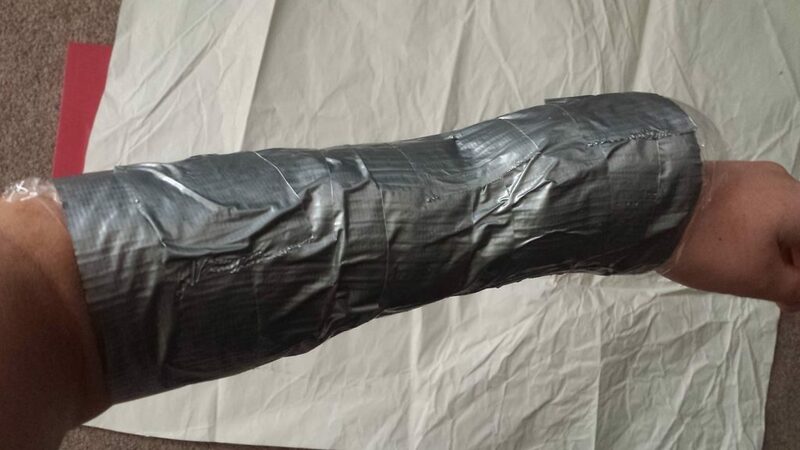 Once you feel good about the shape you’ve created, wrap a layer of saran around your torso, upper arm and forearm, then put tape over top (I used duct tape, but painters tape is better). Don’t pull too tight so that you get an accurate representation of your body. Now, using a permanent marker, draw your pattern onto the tape. 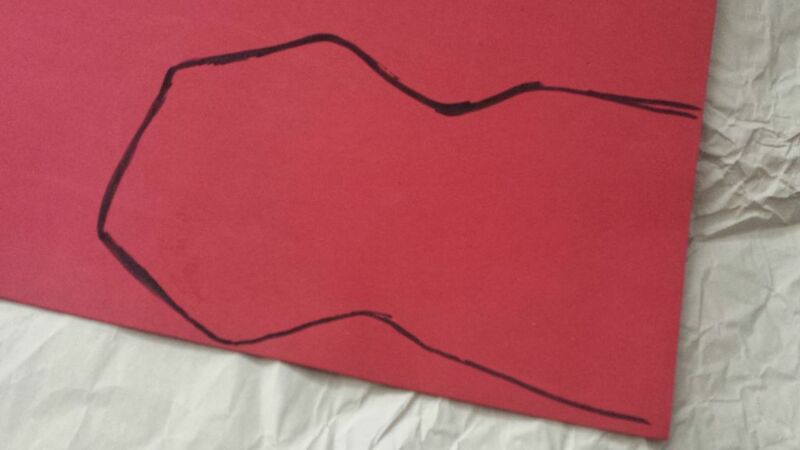 This is the outline of the amour’s shape. Carefully cut the tape off of your body, then cut the pattern that you traced out. For the head piece, you can follow the guides I’ve provided… heads are usually more similar in size and I’ll cover how to get it to sit on your specific head shape later. 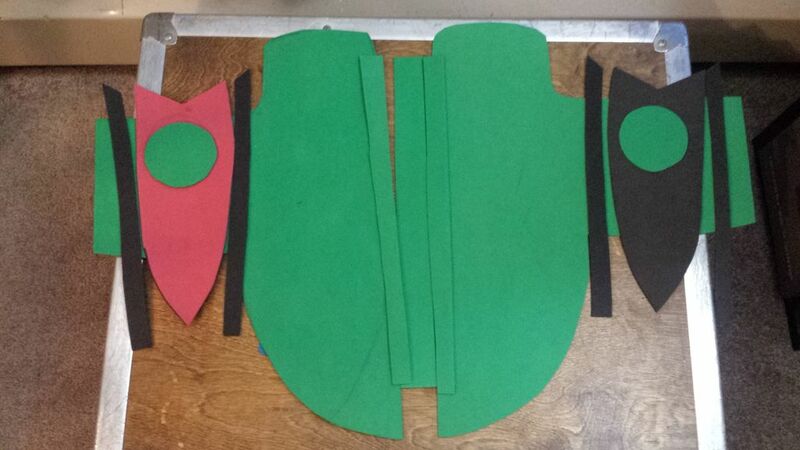 This step is simple: Trace the pattern onto craft foam and cut it out. 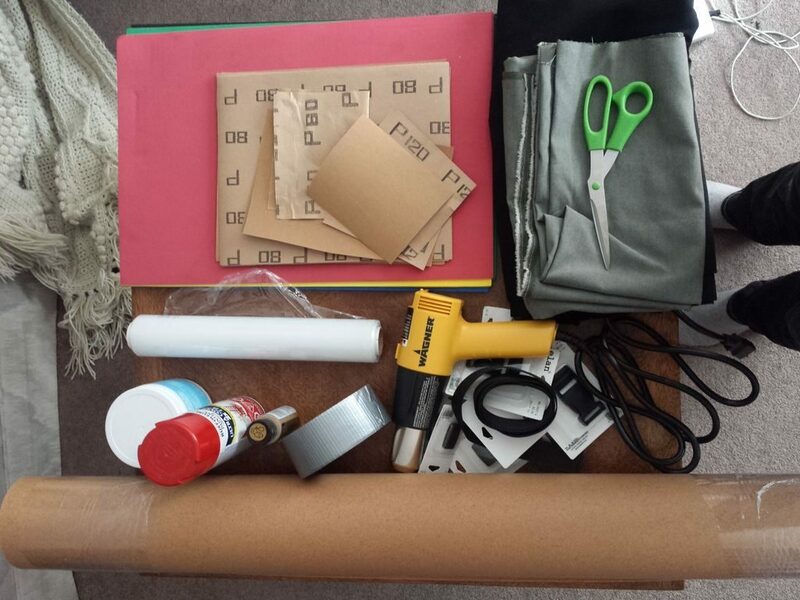 Quick tip before getting into the nitty gritty: save all your scraps! They’ll come in handy later. There are two techniques I used. The first method, the sandwich technique, requires more Worbla, but provides a sturdier piece in the end. I used this method for everything except the upper arm and would highly recommend it (as tempting as it is to save worbla). The other method, the hug technique, saves you a bit of Worbla and is easier when dealing with concave angles and curves, but it leaves some craft foam exposed on the inside (so, not ideal if both sides are going to be exposed, leaves the piece feeling a bit less sturdy and sometimes the edges come out a bit more jagged (which can probably be averted if you’re careful). 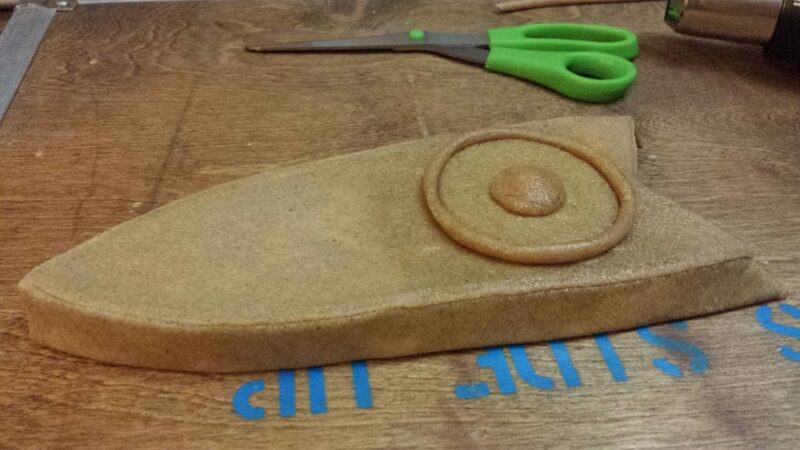 For this method, trace the pieces of craft foam with an extra centimeter of room around onto the Worbla. Flip the pieces over and trace in the same way again. Cut these out of the Worbla. 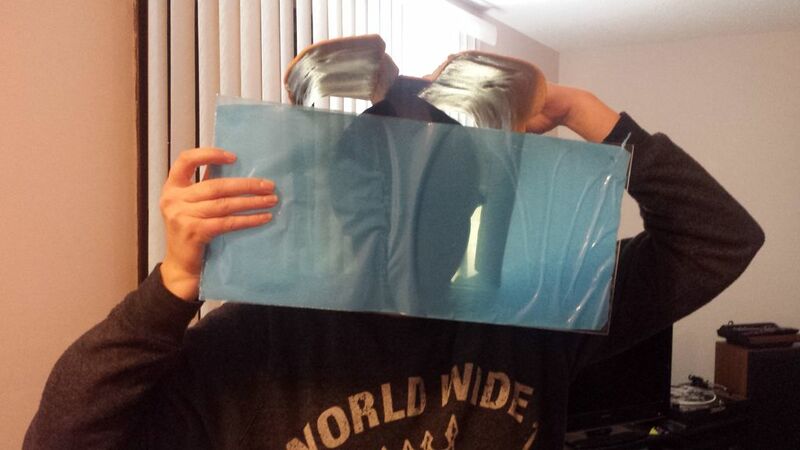 You’ll have two mirrored pieces of Worbla now for each piece of craft foam. Sandwich the craft foam between the two corresponding pieces of Worbla. 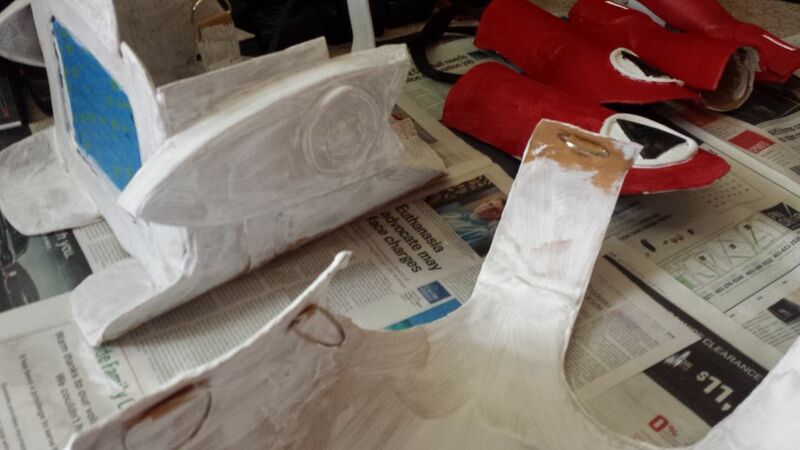 The shinier side of the Worbla faces in. 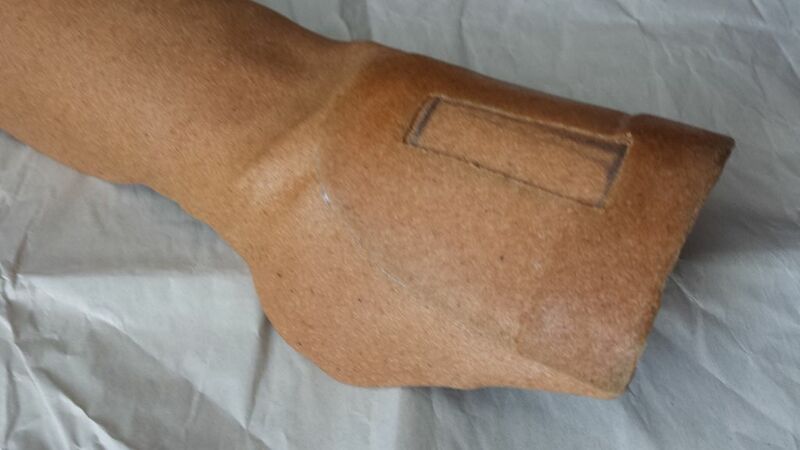 Heat the Worbla with your heat gun in broad and even strokes, focusing on the edges, but making sure the entire surface is warm and slightly tacky. Don’t let it get soft! Keep checking it as you’re heating it so you can remove the heat as soon as it gets soft and a bit tacky. Squish the Worbla together. Start in the centre of the piece, pushing down and out then quickly move to the edges of the craft foam. Make sure the two pieces of Worbla stick tightly together. You can use the blunt side of the scissors to make sure the Worbla is tight against the edge. It’s easiest to cut the Worbla while it’s still a bit warm, so use your scissors to cut the excess Worbla from around the craft foam. If the Worbla separates to reveal the craft foam, just heat it up again and push it together (we’ll do some sanding later to deal with any rough edges). The second method is the hug technique. 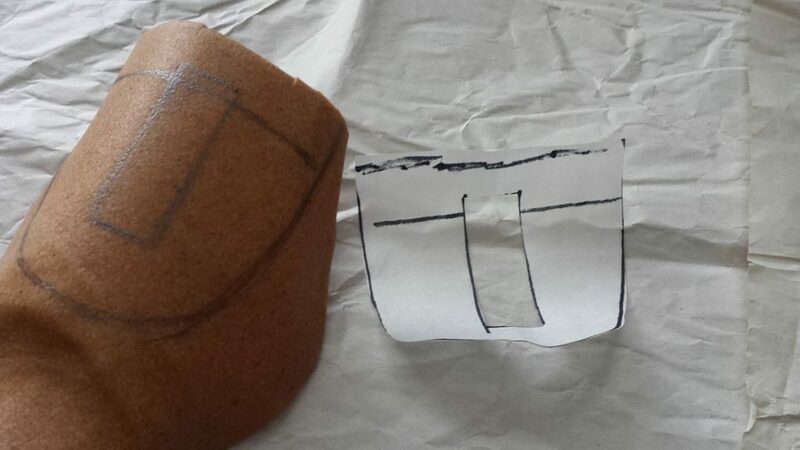 For this method, trace the craft foam onto the Worbla, then draw an extra inch (2.5 centimeters) of room around it. 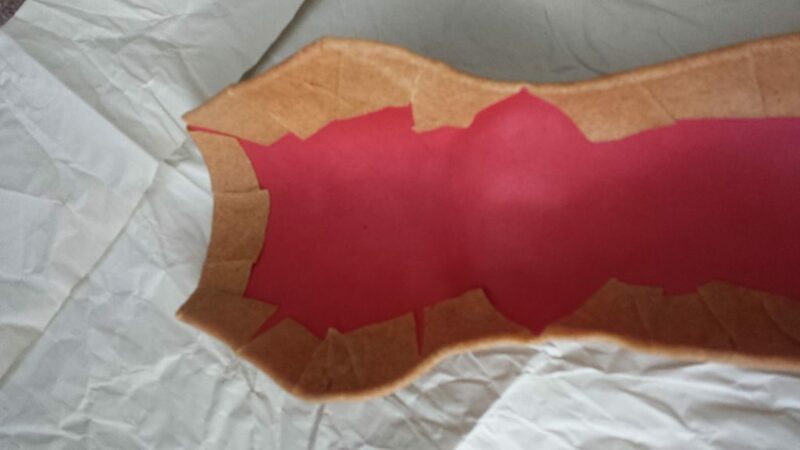 Cut the wider shape out of the Worbla and carefully cut slits into the sides without cutting into the original traced shape. Heat the Worbla on the shinier side with the heat gun. Use broad and even strokes to ensure even heating of the piece. Keep checking it as you’re heating it so you can remove the heat as soon as it gets just soft and a bit tacky (but don’t let it get bubbly or flimsy soft). Place the craft foam onto the Worbla and fold over the tabs you cut earlier. Gently curl the edges over to create a clean edge (we’ll do some sanding later to deal with any rough edges). Now’s the part where you wish you read ahead… and if you are reading ahead then pat yourself on the back and thank yourself for your foresight. While the Worbla is still warm (but not hot), place the piece over the correct piece of your body to get the right shape. You’ll need to hold it there for a little bit until you feel it will be able to hold the shape pretty well. This is another great point to call your helper over for. The wonderful thing about Worbla is you can heat it over and over and over again and keep playing with the shape. There seems to be no limit! So that’s really cool. If you screw up or need to fix something, just apply enough heat to make it malleable and reshape it. First, you’ll need to make the piece that sits nice and firmly on your head. 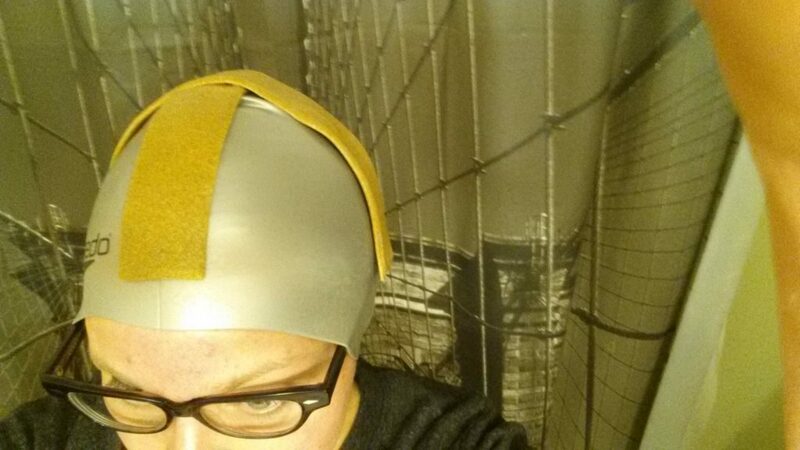 First, put on a tight cap, like a swim cap or something else reasonably thin. Take two long strips of prepared craft-foam sandwiched Worbla, heat them up, and drape them over your head so they criss-cross at the top. The longer piece will go from your forehead to your nape and the shorter one will go from ear to ear (without covering your ears). Hold them on until they’re nice and solid. A good, tight fit is essential. We’ll talk more about the headpiece later, as it’s a bit of a beast on its own. 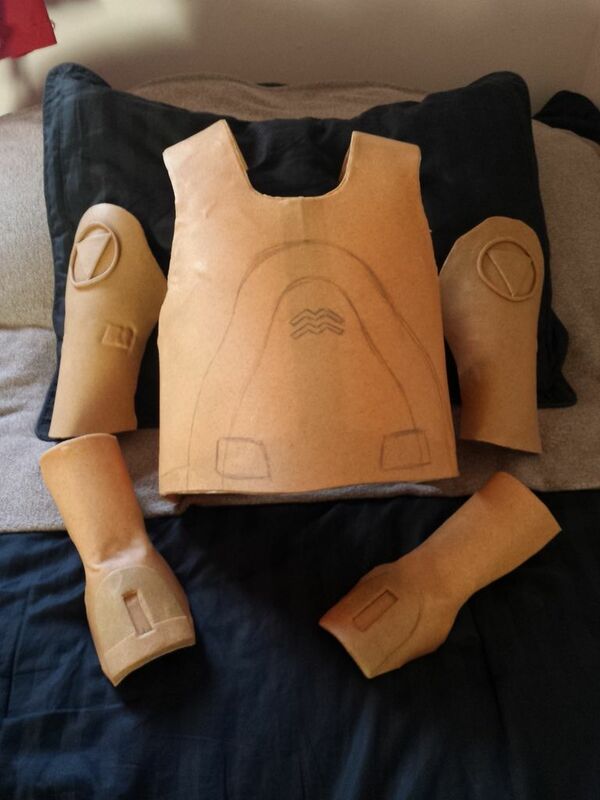 Once the pieces are made, heat both the embellishment and the location on the body piece and stick them together. To make the circle around the triangle, heat a few pieces of scrap Worbla. Get them really nice and hot so they’re malleable and quite soft. Wear work gloves to help you squish them all together, then roll them out into a rope (like you might have done with play-dough when you were a kid). You can then connect the two ends of your rope to make a circle and place it around the triangle on the shoulder (remember to heat the upper arm part so that it sticks). I used fabric elastic to hold the pieces onto me. First, you’ll need to attach d-rings to either side of each piece. 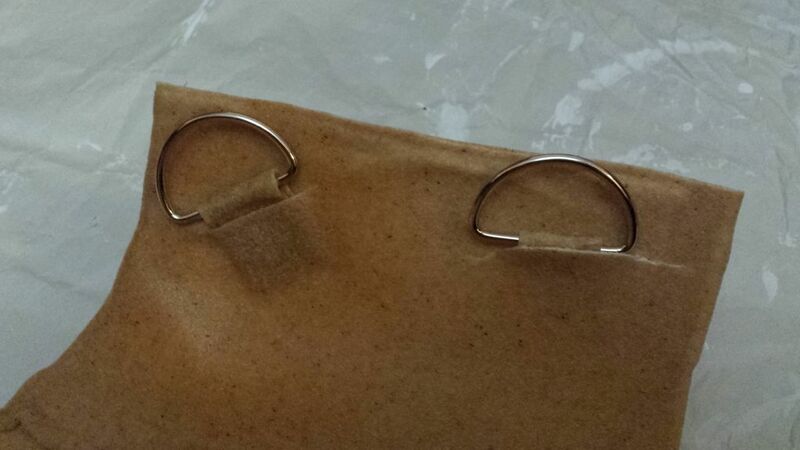 To do this, use an x-acto knife to cut a ¾-inch slit in the Worbla/craft foam where you want to put the d-ring. The slit should be about a ¾-inch from the edge and parallel to it. Heat a 2-inch strip of Worbla that’ll fit through the d-ring. Put this “tab” through the d-ring, and fold it over onto itself so it holds the ring. Heat the area around the slit in the costume and place the tab into the slit. 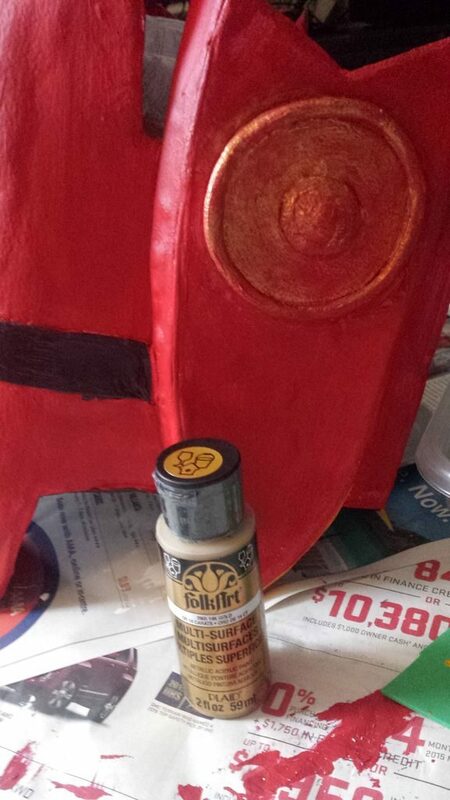 Lightly press it onto the Worbla so it holds. Sew the fabric elastic around each d-ring. Cut enough elastic so that it will hold firmly onto you without cutting off circulation and give yourself about an inch extra on each side to sew. To make the face screen, a round-cornered rectangle from 1/8” plexi-glass. I used a laser-cutter for this and was very pleased with the result. If you’re using solar mirror film, dampen the plexi and apply it by remove the protective plastic from the sticky side and gently laying it on top. Use a wet sponge to work out any bubbles. Heat up the pieces of Worbla that frame the plexi and place the the plexi between them so it’s centered in the frame. 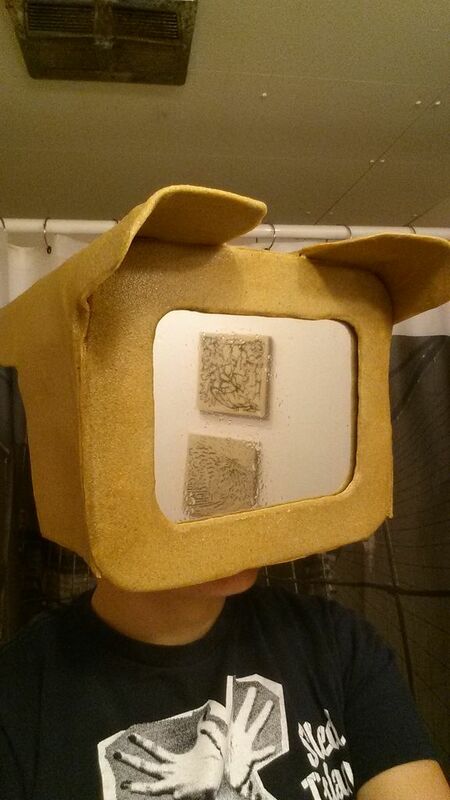 I set it up so the solar film would be on the inside of the head piece. You should have already made all your headpiece parts, so let’s put them together. Align the correct sides of each piece to each other. When you heat the edges, they’ll stick to each other quite nicely. Press them firmly together and smooth them out. Refer to the photographs to get the right angles and placements of all the pieces. Once you have it all fit together, you need to place it on the cross-pieces you fit to your head. Grab your helper; this part of the process absolutely killed me. Heat up the top of the cross-pieces and put them on your protected head (i.e. wear a cap). Heat up the inside top of your headpiece and very carefully place it over your head as you want it to fit. Connect a piece of craft-foam sandwiched Worbla from the front of the crosspiece to the inside front of the headpiece to add stability. 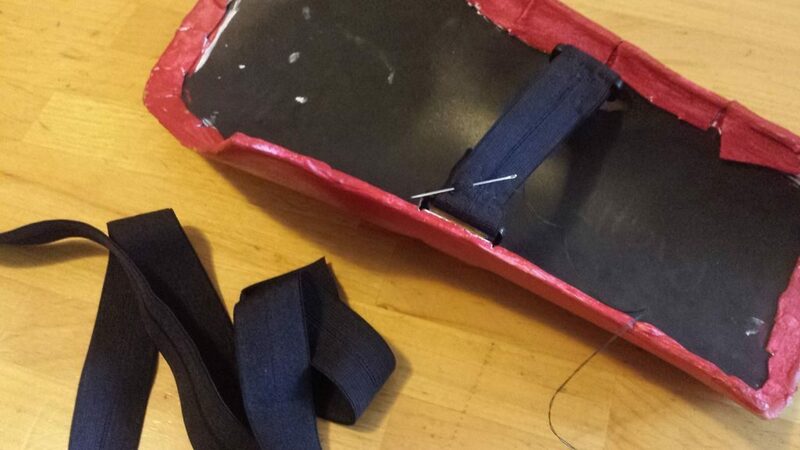 For additional support and stability, I also used Velcro on the top of my cap and along the inside of the cross-piece to ensure it wouldn’t fall off. 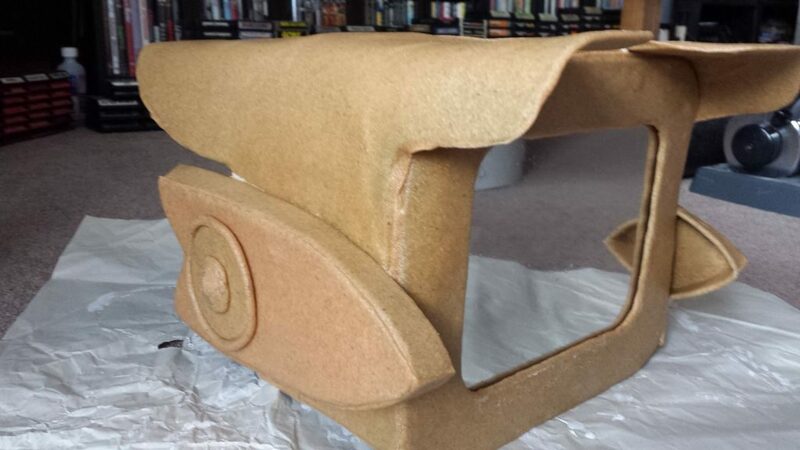 Now that everything is put together, sand the edges and another part that looks uneven. I wasn’t too concerned about getting mine smooth and shiny… I just wanted to get rid of any really weird looking parts. First, cover the plexi screen with painters tape. 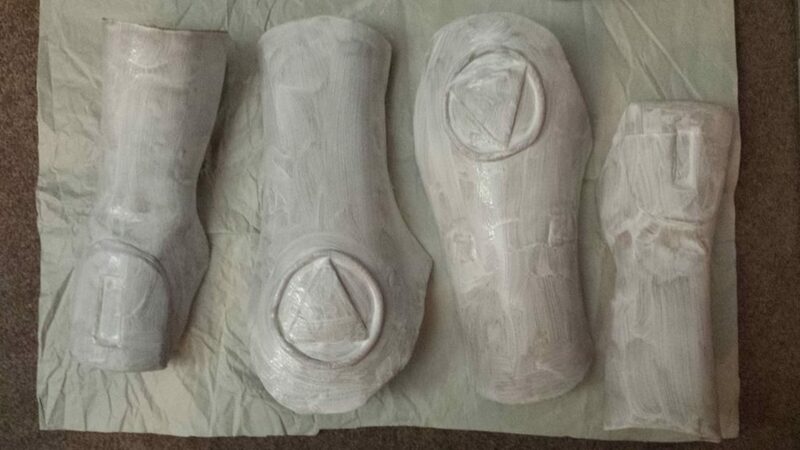 I used a few layers of gesso on everything for primer. Apply the gesso with a foam brush. Wait for it to dry. Paint, dry, repeat and dry. I started by free handing the shapes on the chest with a pencil and painting that a greyish white. See the picture for the rest of the colours. Start with the lightest colours and move darker. Keep a steady hand (I am so bad at painting, by the way). Apply more coats as needed. To finish it off, I used a very light brushing of gold paint around the edges and on the embellishments to give it a “worn” look. Admittedly, I could have done a lot better with the cape. I took a sheet of black fabric and then a sheet of olive-brown fabric and layered them. Pretty easy, and it worked. The black was important because it would bring out some of the structure in the costume, so the black of my shirt would be a bit more hidden. The one last thing to do is to cut a couple pieces of craft foam (about 4” x 9”). After putting on all the body pieces over my long-sleeved black shirt, I stuff the craft foam into the bottom of the sleeve. I pulled the cape tight around my neck. I fit the helmet over my hid. I then put on the ski gloves on and voila!